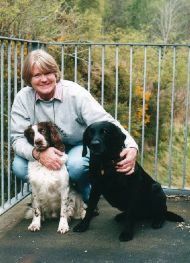 Heather Cary with 2 of her dogs. 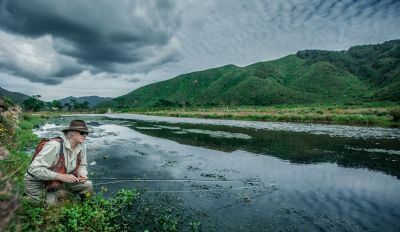 Now that's how to do it!! 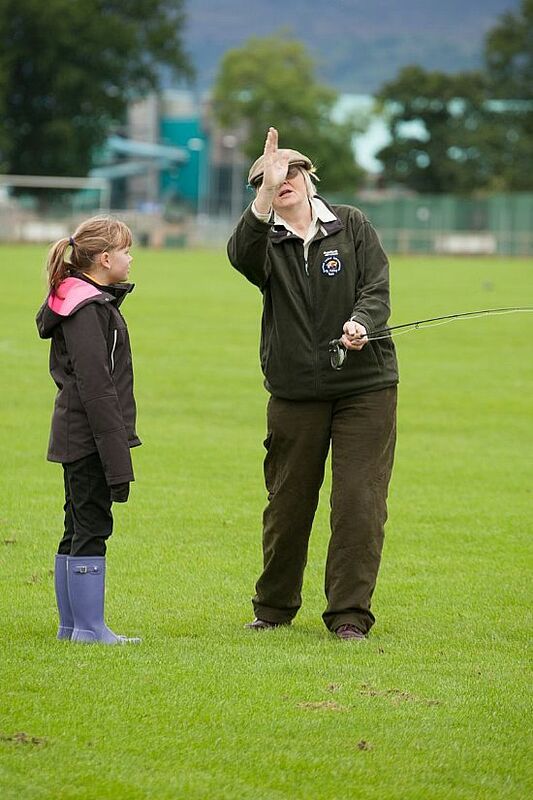 Heather Cary is a qualified and experienced CASTING INSTRUCTOR holding both the SGAIC and UKCC (levels 1 and 2) angling qualifications. 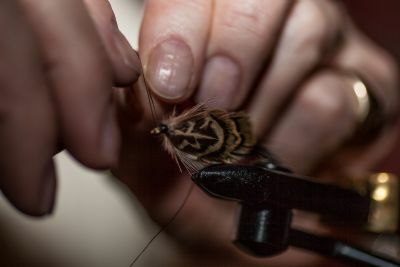 She is also a fully qualified SGAIC FLY DRESSING INSTRUCTOR and is the first woman to have attained this qualification. 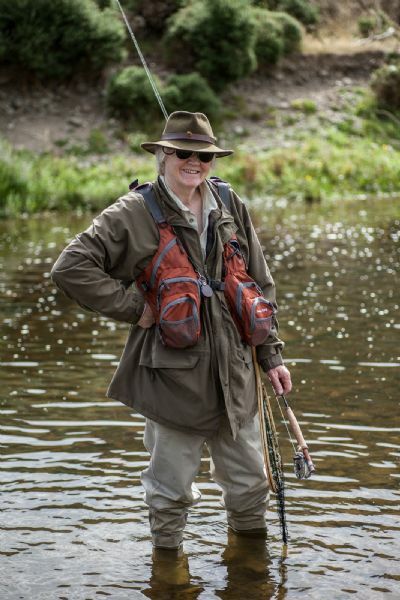 She has fished all her life, is a past SCOTTISH LADIES FLY FISHING NATIONAL CHAMPION, has represented Scotland 3 times at INTERNATIONAL LEVEL and also 3 times at the COMMONWEALTH FLY FISHING CHAMPIONSHIPS in Wales 2010, Australia 2012,and Devon 2014. 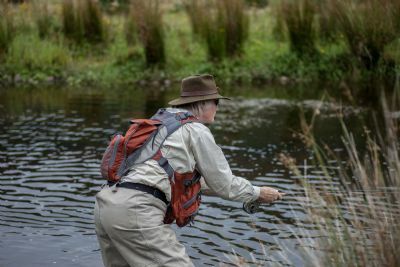 2017 Wold Spey Casting Championships were held in Inverness on the River Ness as part of Scotlands Salmonfest. 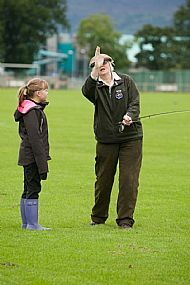 Heather acted as chief instructor for single handed rod. When in Tasmania she was Top Rod in her team and the official Team Fly Dresser. 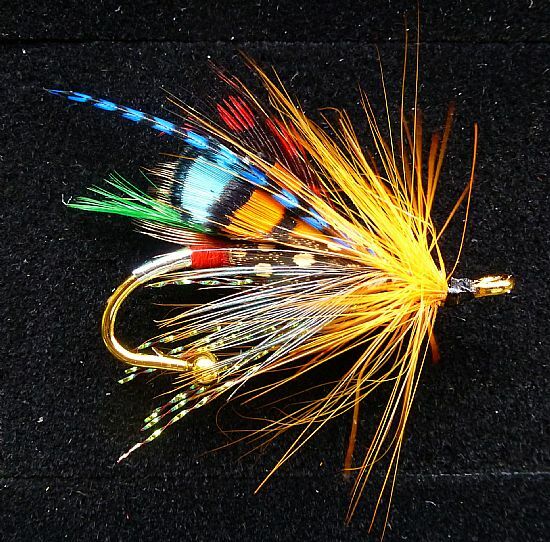 She was again both team member and official Team Fly Dresser in Devon. 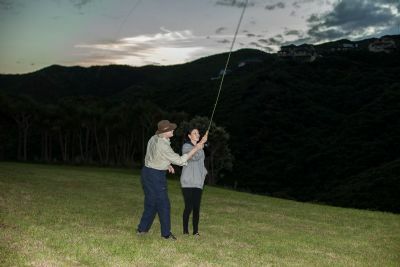 While in 'Tassie' she had the unique opportunity of fishing with and receiving instruction from Doyen of Australian Fly Fishing Jan Spencer inventor of the world famous fishing fly the WOOLLY BUGGER. 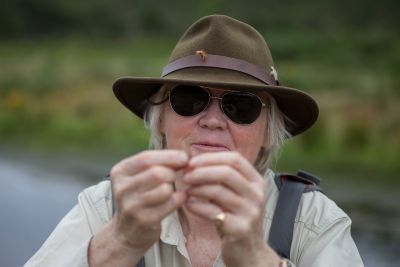 Jan couldn't have been more helpful and is such an accomplished fisher in her own right, it was lovely to spend time with her and to see some of the super flies she ties - she has a particularly good version of the Red Tag. 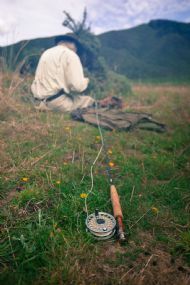 ( the oldest known fly pattern dating to pre-roman times) She is the greatest of fun, so often people who are really good at what they do are great company as they don't need to prove anything! Heather has also fished in USA, New Zealand, England, Wales, Ireland, on reservoirs and rivers in England and also on the English Chalk streams. She has boundless enthusiasm and particularly enjoys teaching as it enables her to pass her extensive knowledge on to others. Her classes are relaxed, practical and fun - she has a keen sense of humour mixed with a good deal of common sense and patience. 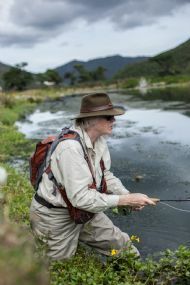 In order to further increase her experience she has recently attended the Joan Wulff flyfishing school in upstate New York in June of this year. She describes it as being a wonderful experience and terribly interesting. Joan Wulff is absolutely charming and an amazing woman, terribly interesting with a great sense of humour, her teaching ability absolutely merits all the accolades that have been accorded to her, without exception every pupil she oversaw (regardless of their experience) improved dramatically within about 2 minutes! I would throughly recommend the school which runs approximately 4 courses a year, Joan is now 84 but still going strong! 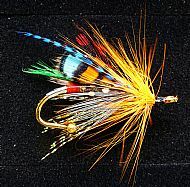 It is listed under 'Royal Wulff' on the search engine. FLY DRESSING is another interest of Heather's. 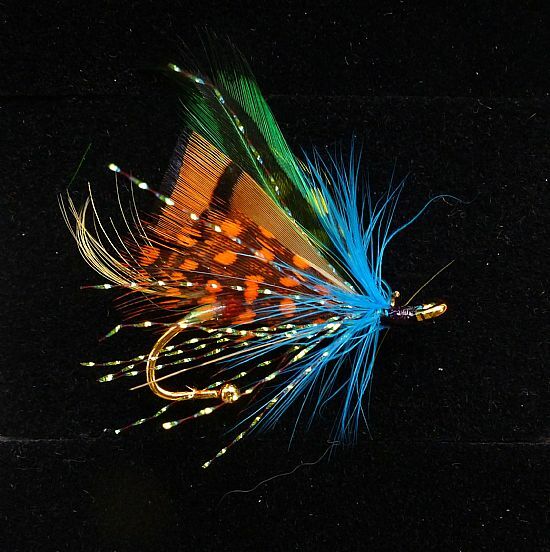 Tying attractive SALMON FLY BROOCHES (one of which is worn by the Duchess of Cornwall! ) Even more exciting was the news that the Prince of Wales had taken a salmon on one of her flies! 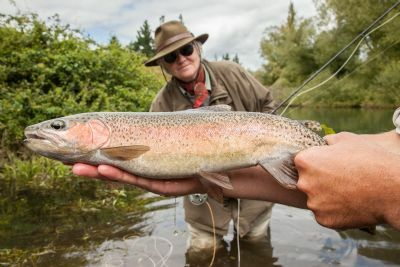 Heather regularly devises her own flies and is especially delighted when she catches a fish on one of her own creations!! 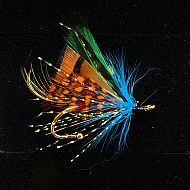 Her flies are proving successful worldwide.Brooches can be obtained from Heather direct - they are also available from Campbells of Beauly the well known tweed shop in Beauly, As featured recently in Country Life Magazine.